What are the requirements to drive for Uber Eats in the US cities? In order to sign up to be an Uber Eats driver, you’ll first need to know if you meet their delivery requirements. You’ll need to meet the minimum age to drive in your city (usually 18), have a car that’s made after 1999, have a valid driver’s license, registration and insurance, and have at least one year of driving experience. If you’re going to be doing a scooter delivery, you’ll need to be at least 19 years old, have a scooter that’s under 50cc, have a license, and proper registration and insurance. 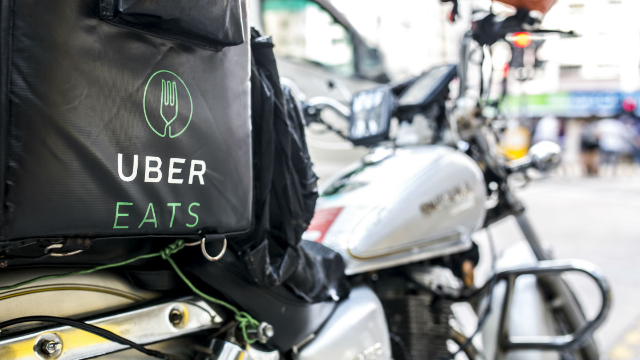 If you meet all the requirements, you’ll need to create a new account on Uber Eats. Then consent to a screening and upload all the required documents. You’ll be notified if your application was accepted or not. But if you are, you can start accepting delivery requests when you’re ready to start working! Once you’re ready to start driving, open the Uber Partner app and go to your account. Select “Vehicle Options” and accept the terms to start getting delivery requests. You can turn that option on and off as you’d like. You schedule your own hours, earn tips, and get to explore the city on your own terms!